With many years of experience, L.A.C. 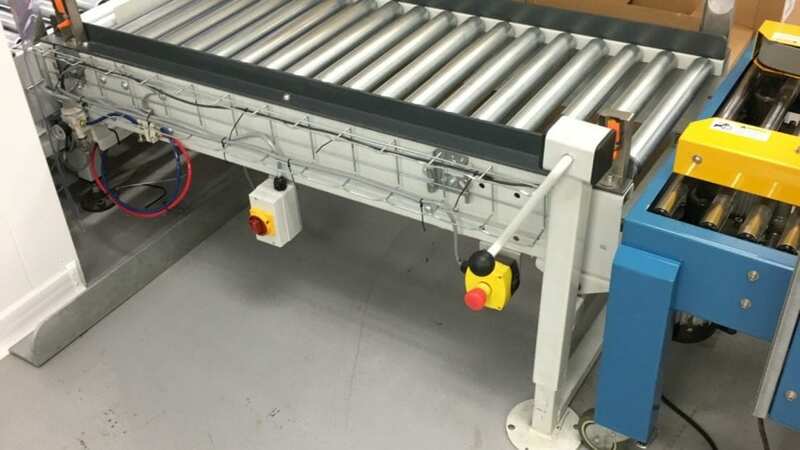 Conveyors & Automation have developed a range of conveyor and materials handling resolutions for all types of product movement at the end of line for box and case handling and palletising including robot palletising solutions. For this particular installation two new packing lines fed onto an outfeed conveyor system which used a combination of powered line shaft roller conveyors and belt cross transfer conveyors. The customer wanted two infeed points and with a range of case sizes that had to be delivered at different heights. 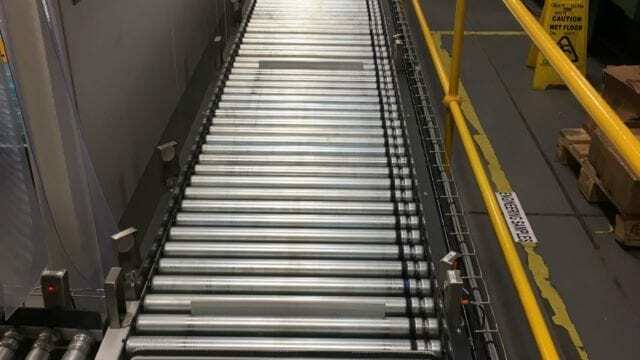 This was achieved by using a manual height adjustable mechanism on the powered line shaft conveyor that fed onto the main 12 metre run of powered roller conveyor. As there were two infeed points, blade stops were used along the line to ensure that the cases did not collide with each other as they were introduced. 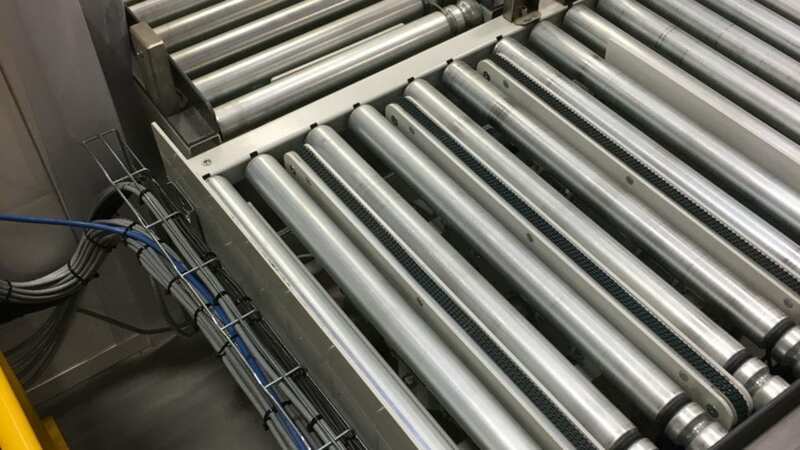 Although powered line shaft roller conveyors are generally associated with the heavy duty end of product movement, in this example they were a perfect fit and with alterations to the power driving elements savings in energy and motor costs were achieved. If you need to know more information about these solutions or anything else, please give us a call.